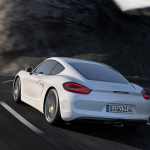 On Wednesday afternoon the world was officially introduced to the 2014 Porsche Cayman at the LA Auto Show when Porsche AG President and CEO, Mattias Müller, drove the new Cayman onto the turn table at the Porsche booth. In typical Porsche fashion Müller explained how the third generation of the Porsche Cayman is lower, lighter, faster, and powerful than the previous generation, yet more efficient. 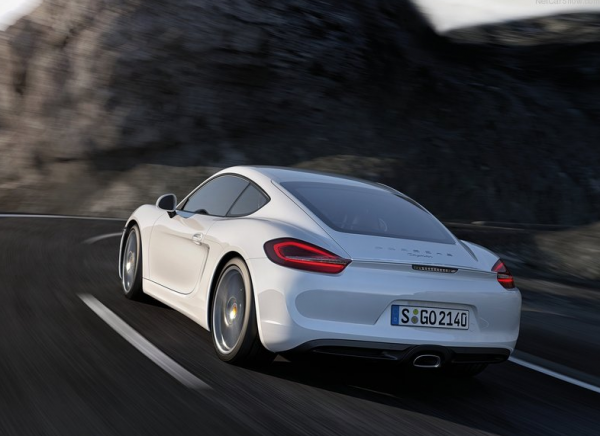 The new Cayman arrives in dealerships during the Spring of 2013 as a 2014 model. Prices start at $52,600 for the Cayman and $63,800 for the Cayman S, not including a destination charge of $950. Shortly after the world premier of the new Cayman Porsche unveiled their newest micro-site that gives you an interactive look into the specification and features of the Cayman. In addition, they published the two videos below. The first is a gorgeously produced "exclusive" featuring the Cayman and Cayman S racing through the city and various other curvy roads on their way to what we assume is the auto show itself. The second introduces us to what will most likely be Porsche's new marketing campaign for the the Cayman called the "Code of the Curve". This two and half minute clip is more promotional than anything else and we can foresee a number of online and TV spots getting edited out of this take. While we're not music critics here at PorschePurist we especially like the music in this spot. After a bit of searching we think this is "Get a Life" for the German group Yes we Ken. We'll let you know if we find a way to download it. We'll have lots more to follow on the completely redesigned Porsche Cayman, but here's what Porsche has put out for "official" shots for right now.